Japanese Chawanmushi (savory egg custard) is one of my favorite comfort dishes and I never ever thought I’d be able to make it as good as a restaurant. 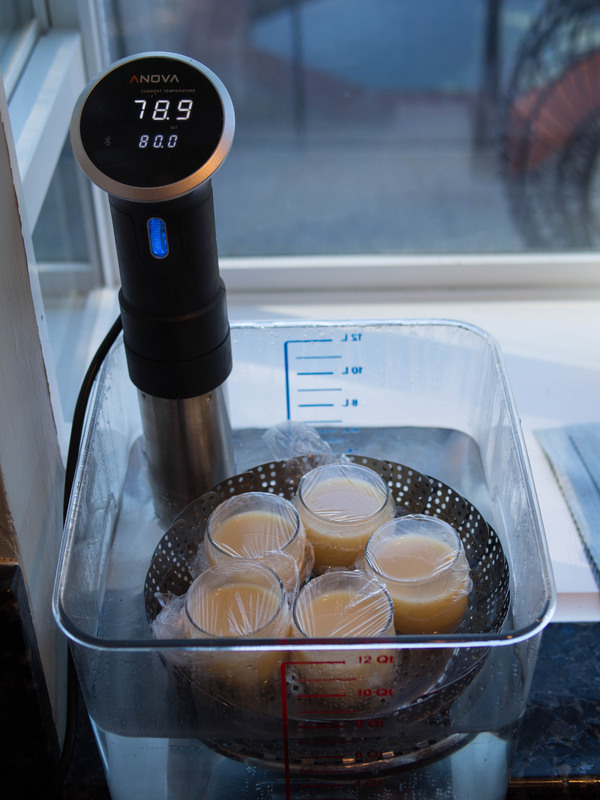 Now, with the Anova Sous Vide Precision Cooker, my wife says she loves my chawammushi better than any restaurant we go to. Add chicken broth and optional condiments to a large bowl. 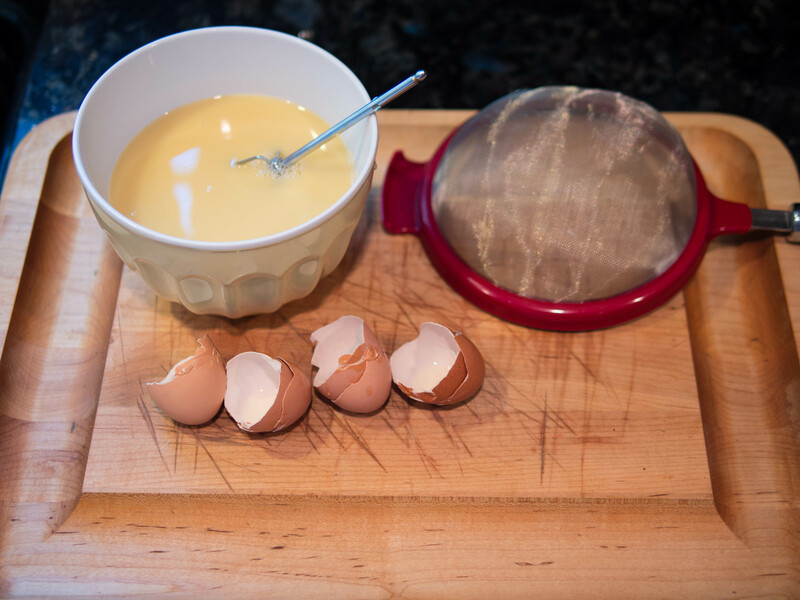 Crack eggs into bowl and gently whisk together thoroughly. 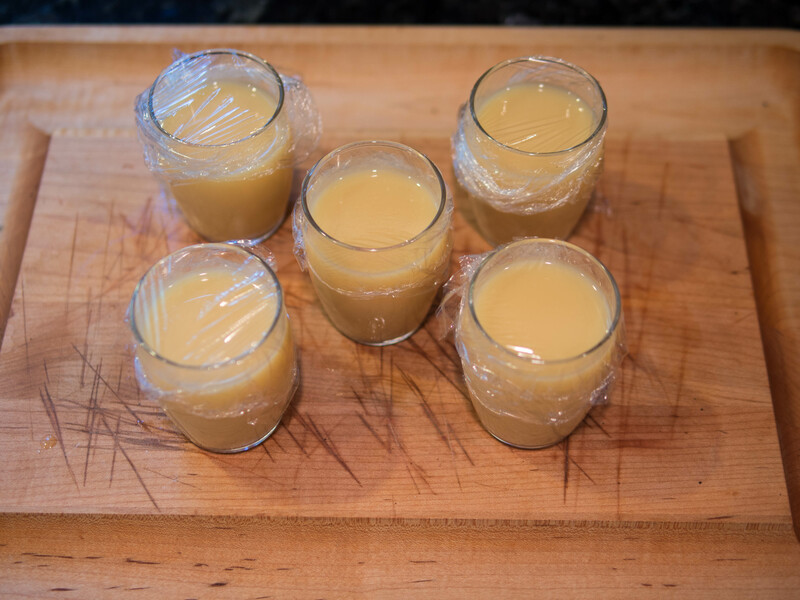 Strain the mixture and then pour into small heat-safe containers or mason jars. Wrap each container tightly with Seran-wrap if not using mason jars with lid. Place a trivet to elevate containers so the tops of the jars remain above waterline to prevent seepage. Carefully add containers to the water bath. Containers should be submerged in enough water to reach level of contents inside. 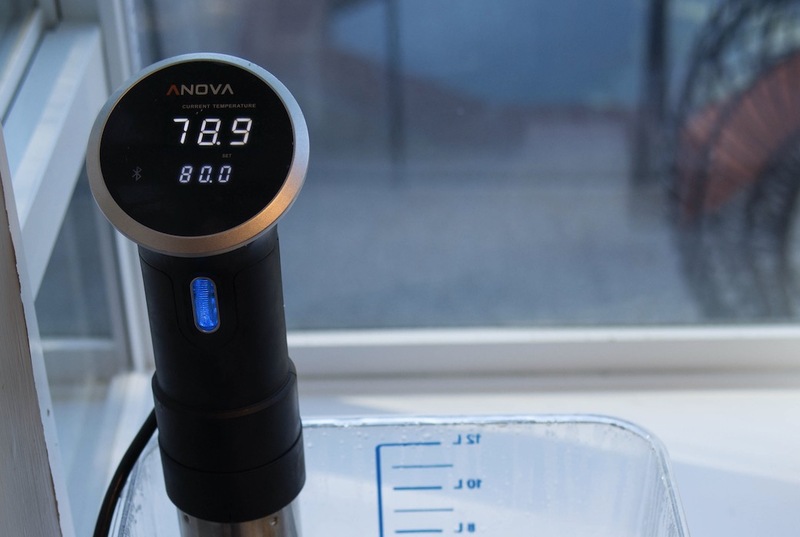 Sous vide for 1 hour. Ready to serve and to eat. 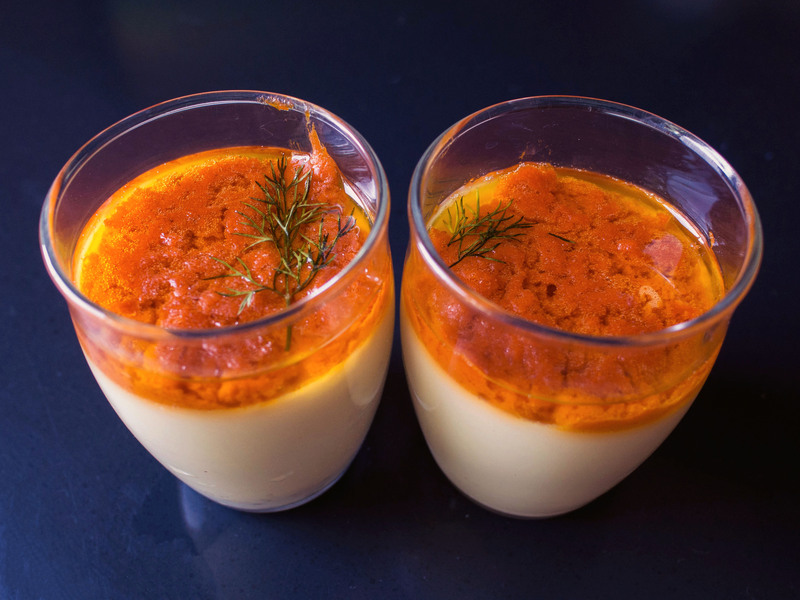 You may top the egg custard with many toppings including, crab, salmon roe, or even uni (sea urchin).